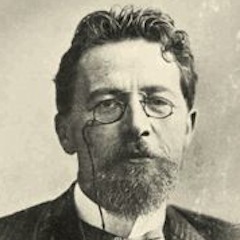 “Reading Chekhov” is the name of this game – a podcast experiment and safe indoor sport with, by all accounts, the greatest short-story writer of them all, the medical doctor who was also the “Cherry Orchard” playwright, Anton Chekhov. Why? 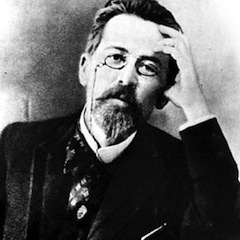 Because Chekhov (1860 – 1904) is ageless and everywhere – “the voice of twilight Russia,” it’s been said, and one of the great pre-revolutionary visionaries – but also a literary influence on Joyce and all the moderns and still a contemporary, almost. 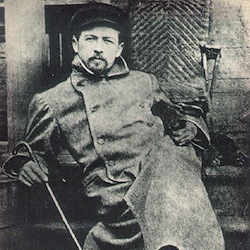 For many readers today he has the rare effect his friend Maxim Gorky observed. 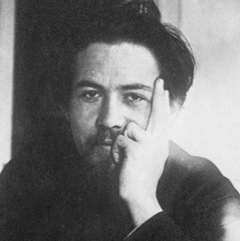 In Chekhov’s presence, Gorky said, “every one involuntarily felt in himself a desire to be simpler, more truthful, more one’s self.” The several actors in our group keep discovering, and demonstrating, that Chekhov’s phrases, scenes and lines keep expanding when they’re spoken aloud. 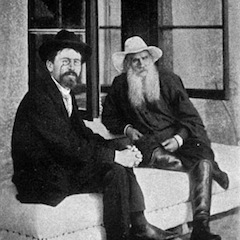 For me he has the further peculiar effect of inviting digressions as we go – conversations and asides about all manner of things, philosophical and emotional, and not at all specially Russian.